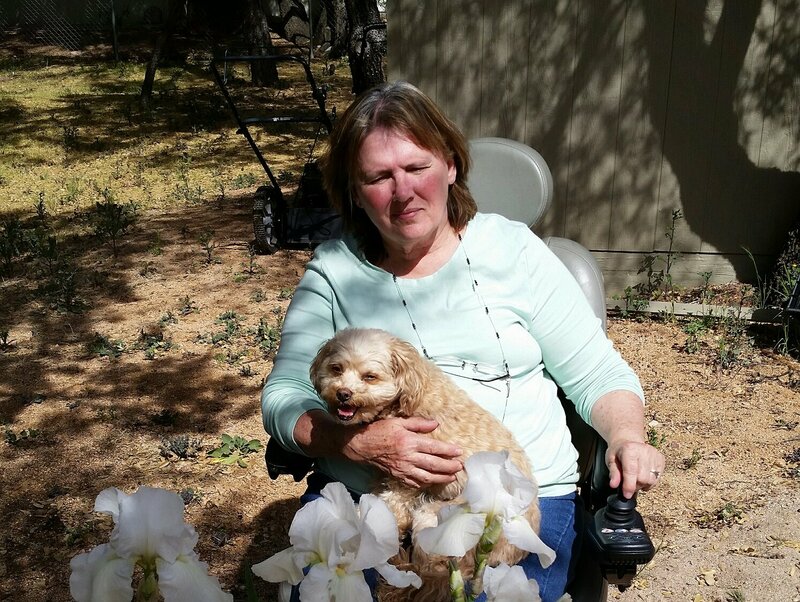 As many of you know, Sherry has dealt with primary progressive Multiple Sclerosis since 1983. Her condition has steadily declined, starting with balance issues, to using a cane, then to a 4-wheeled walker and now an electric wheelchair for getting around the house. She has gone through IV infusions and has injected herself with various drugs that were recommended to stabilize her condition. None have worked. For the first time, however, we are hopeful in a new treatment option that has the potential to reverse many of the symptoms of MS. Sherry has been approved for a stem cell transplant with StemGenex in La Jolla, California. During the procedure, doctors will extract Sherry’s own stem cells, treat them, and reintroduce into her body. We truly believe that this transplant will be a benefit to her quality of life and is an answer to many prayers that have gone up to the Lord on her behalf from so many of you over time. Sherry has been my hero in life with all that she has faced and still has maintained a wonderful attitude and has not been one to spend time on self-pity. MS forced Sherry to stop teaching 4th grade. She was a very good teacher and “mother hen” to so many kids. She had a beautiful soprano voice that she used for solos and singing in the church choir, which she has also had to stop doing. She is also a cancer survivor by God’s grace, and has encouraged other women that have walked that path after her. This stem cell transplant is her best hope at reversing much of what MS has taken away. The transplant is not covered by insurance and will cost $14,900. That includes travel & lodging expenses and administering the treated stem cells in various parts of her body to encourage restoration. We will do what we can toward the costs of her treatment, but it is more than we can do by ourselves. To help offset the cost of the transplant, a fundraising campaign in Sherry’s honor has been established with Help Hope Live, a trusted nonprofit organization that has been providing community-based fundraising guidance to patients and their families for more than 30 years. All donations are tax-deductible to the full extent allowed by law, are held by Help Hope Live in the Southwest Stem Cell Transplant Fund, and are administered by Help Hope Live for transplant-related expenses only. To make a donation to this fundraising campaign, click on the Donate Now button. WE ARE HUMBLED, APPRECIATIVE AND BLESSED BY THE SUPPORT FROM OUR FRIENDS AND FAMILY DURING THIS TIME. We consider it a privilege to help in any way we can you two dear people, who have done so much for so many for so long. May God answer all our prayers for a successful outcome for Sherri ! Our daughters money for her heart transplant was raised through helphopelive. We love you both and are happy to participate. Thank you for letting us know. God bless you both. You guys know how much we love you! You are in our hearts and on our minds!! God bless you both!! So happy that help is on the way. You will be in our prayers. We love you guys. We are in daily prayer for a miracle for Sherry and strength for Keith. We are thankful to God for revealing this option of treatment for Sherry. Thank you both for sharing your story. We will pray that the funds are raised quickly and that the treatment will be extremely successful. Love you both!